In most cases, a road car comes first and a racing version follows. 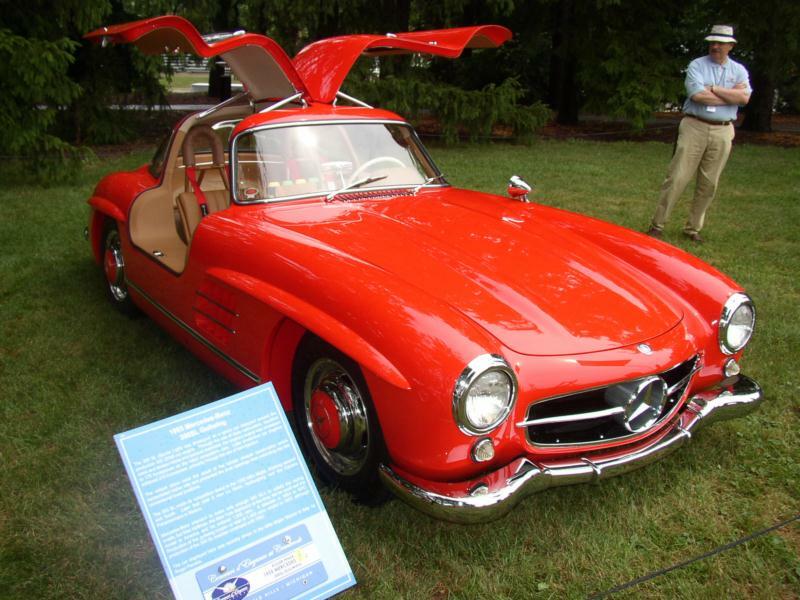 But for the Mercedes-Benz 300SL, the radical-gull-wing door coupe that hit the market in 1954 was directly derived from the sports racing car that won the Carrera Panamericana and the 24 hours of LeMans in 1952. The road car that followed retained the racing version’s, strong tubular frame with high sills—necessitating the gull wing doors—and featured fully-independent suspension and a fuel-injected version of Mercedes-Benz’s 2,995cc single-overhead camshaft engine. The straight-six was rated at 215 bhp and would propel the car to speeds upwards of 160mph, making it one of the fastest production car in the world upon introduction. The only transmission available was a four-speed manual and powerful drum brakes were fitted at each corner. Significant options included a more highly-tuned engine, Rudge knock-off wheels and fitted luggage. The most coveted of all the production 300SLs are the 29 aluminum coupes. Fast, beautiful and very expensive at nearly $9,000, only 1,400 of the exclusive coupes were built between 1954 and 1957 when the model was superceded by the 300SL roadster. The open two-seater was clearly closely related to the coupe, but thanks to a modified tube frame, conventional doors—with roll-up windows--could be fitted. Power went up slightly for the drop-top version and the swing axle rear suspension was modified to improve handling. A popular option was the snug hardtop, while the most notable changes during production were the introduction of four-wheel disc brakes in 1961 and an aluminum engine block at the end of 1962. By the time the 300SL roadster was discontinued in 1963, 1,858 had been built. Many enthusiasts rate the open 300SL as the superior car to drive, due to its greater power and more predictable handling. 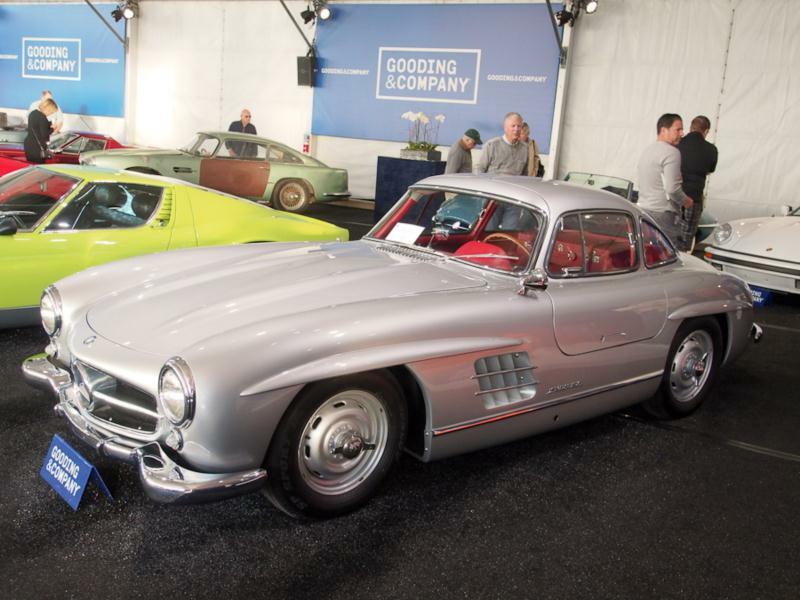 The Gullwing coupe, however, endures as one of the most iconic postwar automobiles, and is a bellwether of automotive design.